Breaking News: Leading Fitness Expert Discovers How To Quickly Eliminate Painful Shin Splints… Without Drugs, Surgery Or Any Harmful Side Effects! Relieve Brutal Shin Splints that WORKS. I’m not going to mince words about one of the most agonizing physical conditions that millions of people are forced to live with day in and day out. Maybe you’re unlucky enough to be one of them. If so, you know that living with the brutal pain of shin splints can adversely affect every aspect of your life. It literally feels like a steel vice is cruelly squeezing the lower part of the front, outside or inside your leg. Shin splints can prevent you from engaging in your favorite sports and activities, playing with your kids and pets, and force you to leave the work you love and go on disability. And if your shin splints are severe, you can suffer from excruciating pain even when you’re not moving. Shin Splints Can Make Your Daily Life Miserable. WARNING: The longer you do nothing about treating agonizing shin splints, the worse they can become over time! The medical term for shin splints is more fancy. It’s called Medial Tibial Stress Syndrome. In a nutshell, shin splints are a cumulative stress disorder. 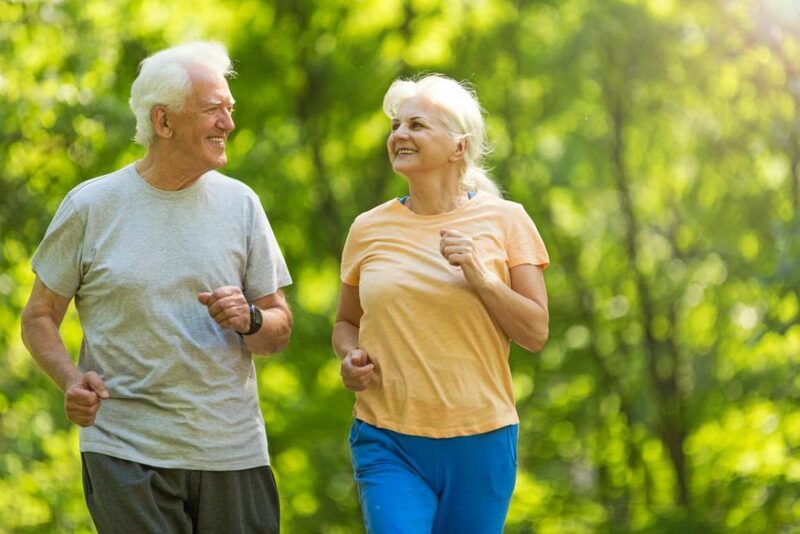 They typically affect people who engage in moderate to heavy physical activity. It’s the repeated pounding and stress on the bones, muscles and joints of the lower legs that often lead to shin splints. There are two types of shin splints, anterior and posterior. Anterior shin splints occur in the front of the leg, while posterior are felt along the inside of the leg. When your tibial muscles, tendons and bone tissue becomes overworked for one reason or another, and the lining of the bone becomes inflamed, it leads to painful shin splints. But that’s a dangerous myth… as the more you continue with the activity, the worse the horrific pain becomes. Shin Splints are common in people who participate in activities that involve high impact stresses on the feet and legs. So, if you participate in strenuous physical activities and stop-start sports you’re at higher risk for developing shin splints, such as running, tennis, racquetball, gymnastics, soccer, basketball and more. Shin splints are so common they account for almost 11% of injuries among male runners, and 17% of injuries in female runners. And 22% of those who engage in aerobic dancing are the highest affected. Think it’s impossible for you to develop painful shin splints because you’re not an athlete, gymnast or dancer, and don’t participate in high impact sports? Think again! Nobody Is “Out Of The Woods” From Developing Agonizing Shin Splints! Shin splints can strike people of all ages, health conditions and fitness levels. You can even develop them from walking, hiking, climbing stairs, or being a coach potato, whose only activities are walking and climbing stairs. How much of your hard-earned money and precious time have you wasted on traditional treatments for shin splints, including ice packs, medications, foam rollers, compression bandages, and costly physical therapy sessions that didn’t do a darn thing (except drain your bank account)? And medications come with the risk of addiction and other harmful side effects. Now, You Can Stop Searching for Shin Splints Relief in All of The Wrong Places! There’s a safer, faster and more effective way to permanently relieve shin splints (even if you’ve tried every other method and FAILED). I’m super excited to tell you about a revolutionary system that I created for permanently healing brutal shin splints. And it’s brought relief to thousands of people around the world. I promise I’ll share all the details with you in a minute. I’m a leading fitness trainer, acclaimed Injury Prevention Specialist, international speaker, and certified Kinesiologist with a Masters of Science Degree. 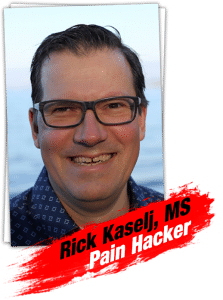 You’ve probably read about my numerous pain relieving systems in leading magazines and websites, including Yahoo! News, Men’s Health magazine, Livestrong.com, Canada.com, Iron Man, Men’s Journal, the San Francisco Chronicle, and many more. Since 1994, I’ve taught literally thousands of people how to overcome debilitating physical pain through my revolutionary fitness and exercise programs, enabling them to lead the active, pain-free and joyful lives they deserve. Trainers, fitness experts and healthcare professionals from all over the world have been seeking me out since 1994 to learn my methods. I’ve given 352 live presentations to 8,404 health professionals in the US and Canada. I’m excited to share the remarkable story of what led to my breakthrough discoveries for healing shin splints. I Had A HUGE Mystery On My Hands! Why were so many of my clients suffering from debilitating shin splints, yet weren’t obtaining relief? As one of the most renowned fitness trainers and pain-relief specialists on the planet, I believed I “knew it all” when it came to understanding the physiology of the human body. And I’ve successfully developed hundreds of successful fitness and health programs that people throughout the world use daily for pain relief. But something was missing from my workout programs that was failing to provide sustainable relief from shin splints. However, I do love a challenge, and I was determined to get to the bottom of this. I shut myself in my office, hung a “Gone Fishin" sign on the door, and literally spent hundreds of hours researching the most current discoveries in exercise science, along with key medical studies. … And What I Discovered SHOCKED Me! You see, the flawed “treatments” provided by these so-called “experts” only temporarily masked the painful symptoms of shin splints without treating the underlying cause, which is why they never provided sustainable relief. My tireless research revealed not only how to heal crippling shin splints, but what leads them to develop in the first place. I Created My Scientifically PROVEN Program, Shin Splints Solved After Thousands Of Hours Of Research. I’m so proud to have developed this series of simple movements that not only quickly relieves painful shin splints, but heals their underlying cause so they don’t return. Next, I tested these revolutionary exercises on hundreds of my clients and they quickly experienced rapid relief from agonizing shin splints. Many of them had been suffering for years and nothing they’d previously tried had worked. I wanted to get these movements into the hands of as many people as possible, not just my wealthy clients who can afford costly private sessions with me. That’s why I made “Shin Splints Solved” super-affordable so nobody is shut out from discovering how to easily overcome shin splints, and return to the active, pain-free and joyful lives they deserve. 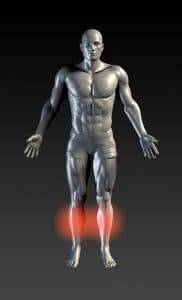 Why My Groundbreaking Program Is The Most Effective, Fastest And Safest Method For Healing Shin Splints On The Market! While I’ve created hundreds of pain relieving fitness programs to date, I confess that Shin Splints Solved is the one that I’m most proud of. To date, thousands of people throughout the world found quick relief from excruciatingly painful shin splints in just a few minutes each day. My program works for ALL ages and fitness levels… and is simple to follow even if you’ve never exercised one minute before in your life. Shin Splints Solved is a video exercise program that you can easily follow in the privacy of your home or office at your convenience. I personally created this system after literally thousands of hours of scientific and medical research. You’ll discover not only how to do the exercises correctly, but how to avoid the common mistakes people make while following them. As a result, you’ll heal your shin splints even faster without experiencing setbacks. You’ll learn which stretches and other exercises can make your shin splints much worse. After my tireless research, I tested my discoveries on hundreds of private clients who were suffering with shin splints, which provided me with irrefutable evidence of the effectiveness of my program. I’ll share with you the most important movement for overcoming your shin splints. It’ll be like having me as your personal coach every step of the way, minus the high costs of my private sessions. I’ll personally be showing you exactly what to do in this revolutionary step-by-step system, including how to perform each simple movement correctly for the best results (even if you’ve never exercised one second before in your life). Rest assured that “Shin Splints Solved” only contains specific exercises to heal your shin splints, and nothing else! Unlike other programs, I don’t include needless filler that will only waste your time and money. You’ll always have my unwavering support and motivation to keep you on track until your shin splint issues are 100% solved! I’ll provide you with the same “top secret” exercises for permanently healing shin splints that my private clients pay hundreds of dollars per session to learn. I’ve been told by publishing “insiders” that if I wrote a fitness book that contained all these groundbreaking movements for healing shin splints, it would become an instant best-seller and earn me potentially millions of dollars. Look, I didn’t spend months creating this revolutionary program to heal shin splints to pad my bank account. Sure, I could have gotten a huge advance on a book deal or continued charging exorbitant hourly rates to my wealthy private clients. But earning big bucks was not my main motivation in becoming one of the world’s leading healers. Helping millions of people overcome debilitating pain so they can reclaim their active, full lives is much more gratifying to me than monetary rewards. The best part? “Shin Splints Solved” is simple to follow for all ages and health conditions, even if your only previous exercise has been to walk to the refrigerator to make a sandwich! Before you start the program, it’s important to assess your current condition to help prevent injury while you follow the movements. In this wonderful package, you’ll receive a video and manual that explains in detail how to do your own self-assessment. You’ll also receive a convenient Fill-In Sheet to write all your answers. To make following the program easy, I’ve created this convenient Summary Sheet. It summarizes the most important points in the program, so you can easily get started. You’ll learn exactly what causes painful shin splints and the simple movements that will permanently heal them. I provide you with the latest scientific and medical research on relieving shin splints, and how I used these findings in my program. I’ll explain the roadmap we’ll be following to heal your shin splints, while ensuring you’re protected from injuring yourself in the process. 3-STAGE COMPREHENSIVE EXERCISE PROGRAM: You’ll receive the same personal training and coaching sessions that I provide my private clients in their costly private sessions. “Shin Splints Solved” is a comprehensive program of gentle, yet highly-effective movements to eliminate the ongoing agony of shin splints. I designed my system into 3 easy to follow stages, so people of all ages and physical conditions can easily complete the program. These 3 stages allow you to achieve the fastest results possible. Show you step-by-step how to properly perform each exercise to accelerate your healing from shin splints. Teach you ALL the common mistakes people make while doing these exercises, so you stay on track and protect yourself from injuries. Provide you with every single tool you need to succeed, including how many reps and sets to do, along with proper form and intensity. You’ll feel completely confident you’re performing the exercises correctly and remain highly motivated. And you’ll never feel alone while going through the program! FOLLOW-ALONG VIDEOS: You’ll receive 3 engaging follow-along videos - 1 for each of the 3 stages. Unlike generic coaching videos on the market, you’ll feel like these are your own personal sessions with me! You’ll perform each of the exercises along with my highly trained exercise assistant, while I count out the reps and time, and provide coaching and support to keep you on track. The 6 components you must do to successfully heal your shin splints. The exact start and end-position photos for every exercise. EXERCISE QUICK REFERENCE GUIDE: You’ll love how this Quick Reference Guide provides an instant and more convenient way to access the exercises. It saves you the time-consuming trouble of needing to fast-forward through the videos to find specific movements, or search through the manuals. You’ll quickly find every exercise in the program in this brief guide, including a brief summary, instructions, and start and end photos. PROGRESS TRACKING SHEET: Current research shows that the people who measure their progress while following this program overcome their shin splints much faster than those who don’t. The Progress Tracking Sheet helps you measure your progress, and keeps you motivated and on track every step of the way. Watch the videos at your own pace. Unlike the competitive nature of gym training floors, there’s absolutely no pressure to perform at a certain pace (and nobody looking over your shoulder and shouting orders). You progress at your own pace and only move to the next exercise when you feel ready. You’re free to go as quickly or slowly as you like. And the beauty of video training is you can pause, rewind and fast-forward each movement to review key points. Complete the program at your convenience from your home or office. You’ll love how there are no costly appointments to schedule, long travel times for sessions at a distant location, and absolutely no need to take time off from work or raising your family. You’re free to follow the program whenever and wherever you have time! You’ll save massive amounts of money. Say “goodbye forever” to expensive physical therapy appointments, worthless DVDs, and bogus rip-off courses taught by so-called fitness “gurus.” Happily, now you can permanently and easily heal brutal shin splints at an insanely low one-time cost! Keep in mind that trying to heal debilitating shin splints through costly physical therapy and other traditional methods typically costs thousands of dollars each year. And even after all that wasted time and expense, those methods fail to provide permanent results. That’s why I was determined to make Shin Splints Solved ridiculously affordable! My mission is to get my system into the hands of every single person who desperately needs it, no matter what their income level is. So, for an extremely limited-time, I’ve slashed the price of Shin Splints Solved from $59 to the insanely low cost of only $37! Yes! Send Me Shin Splints Solved! Our “No Questions Asked” Money-Back Guarantee! Here’s your “peace of mind” guarantee. I’m so confident Shin Splints Solved will work beautifully to rapidly heal your shin splints that I’m assuming ALL the financial risk. If you don’t see results within 60 days, or you’re not delighted with the program for one reason or another, simply let me know and I’ll cheerfully refund your full purchase price, no questions asked! Remember… it’s important you order in the next 48 hours to take advantage of this rare discounted offer! PS: This bears repeating… if you’re not completely satisfied within 60 days, I’ll happily refund your full purchase price, no questions asked. Why am I doing this? I’m fully confident that Shin Splints Solved is going to work for you, so I’m assuming all the financial risk. PPS: Keep in mind that I rarely offer such huge discounts on my popular programs. That’s why this is a limited-time discount, and I encourage you to place your order TODAY to take advantage of it. Click here to order Shin Splints Solved for only $37!